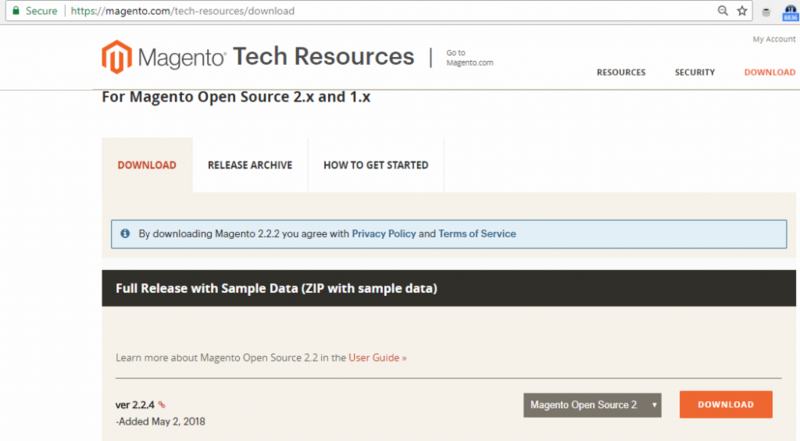 How to download Magento – Is it free of any cost? Here we’ll discuss about Magento download free version – let’s see how to do it? Notably Magento 2x is a popular free open source CMS platform. Now a days, eCommerce merchants widely prefer Magento 2x over any other CMS to build their online stores. Though the CMS has some premium features like Magento commerce. By the way those personal services are not free and needs to contact Magento directly for personal Demo. All we need to do present our needs to Magento and they’ll design personal tools and extensions for us as per requirement. But the Magento basic version is absolutely free and remain so and still a very powerful tool for ecommerce developers. In 2018, upon numerous request from our different clients our basic Mage hosting package is down to USD 3.99 for 1st month. Also the Plus & Pro plans are now USD 9.99 & USD 25.99 per month for users in first month. Moreover you can enjoy the same premium features though the price falls drastically. Here we like to include we’re one stop solution for your new Magento store. Because we’re providing 24×7 technical support, web development, SSL & domain transfer support in free of any cost with plus & pro package. So, what are you waiting for join Aspiration network today!!! To begin with we need a computer with good internet connection. So, open a new browsing tab and search for Magento download. Either you can follow this link to visit Magento download site. Here you can see 3 tabs: Downloads, Release Archive & How to get started. In the Downloads section we can see few options of Magento Latest version: The version with sample, without sample, composer versions & patches etc. Here note always try to download the latest version of Magento for updated security and patches. And also depending on your skill you can download both versions including sample or without sample. By the way, it’s possible to download sample site separately and install later. For general purpose the Release archive is the section where you can find the all previous release. And the How to get started section is official tutorial section of Magento CMS. 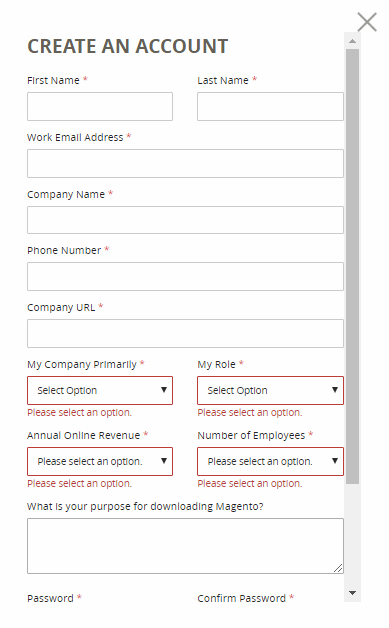 So without wasting time any further simply under Download tab >> Full release with sample data click the dropdown list and select your format. Mostly there are 3 formats zip, tar.gz and tar.bz2 etc. So, chose a suitable one as per your system and usability. Simply hit the download button to begin with download. 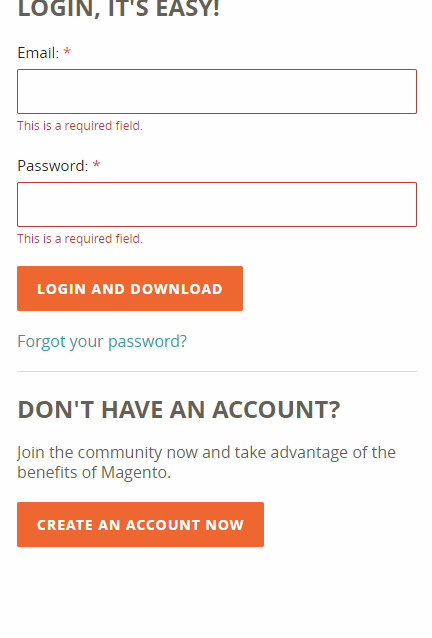 In most cases a new login screen will pop us instead you’ve already created a Magento account and already logged in. Some people will find it difficult whom don’t have the domain name yet for their business. So, if you’re up to open an online store it’s the time to buy a new domain (the name of your website for example: www.aspirationhosting.com). Either people want to download Magento for practice purpose download here. Here we’d like to include that using our website you can buy hosting in few simple steps. And payment is quite simple. So, buy your domain now with Aspiration Hosting!!! Finally login to your Magento account using your credentials and click download to begin with download.